Soft, floaty top in polyester embellished with a series of geometric motifs to create an array of peek-a-boo details. 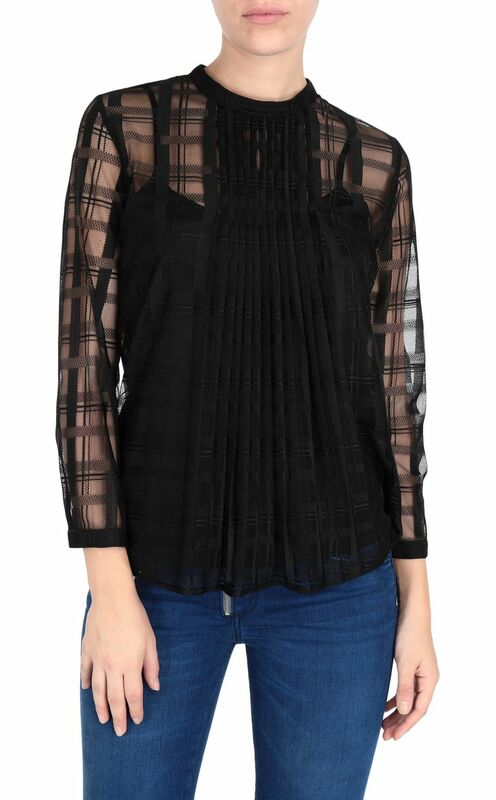 Featuring extremely soft and feminine sheer sleeves. Styled with a small fabric vest top on the front for a more versatile look. Button fastening on the back. Regular fit.